As the bombs continue to drop in Aleppo, and another estimated 70,000 people flee Syria, an additional and surprising casualty of the war has emerged. The European Union (EU), established over 50 years ago as a brave new way to stop the recurring conflicts that had plagued the continent in the past, is perilously close to crumbling. Originally conceived in the aftermath of World War II, it was a way to stop the destructive fighting that had ravaged Europe over the 19th and 20th centuries, the European Union started life as an economic union. Designed specifically to tie together the diverse nations of Germany and France, the forefathers of the EU believed that if these nations were economically tied to one another the continual belligerent behavior would cease to exist. Representing a unified yet diverse federal state, for the better part of 20 years the European Union has been a border-free, single currency, European economic zone. In creating this unique space Europe established one of the strongest and largest economies. In addition, the European Union’s political integration has meant that member states have not been in conflict with one another for over 50 years. Under the constant wave of migrants seeking humanitarian aid, it has become apparent that the structures and cornerstones of the European Union are not designed well at all. The recent Euro currency crisis created cracks in the European Union’s infrastructure, but Europe was slowly recovering. However, with the recent humanitarian crisis these cracks have become holes in the Union, with many of the 28 member states now suspending key components of the EU treaty to cope with the refugee emergency. Established 20 years ago in Schengen Luxemburg 1985, a borderless Europe was hailed as a cornerstone of the European Union, and enabled people to work and move freely throughout the region. It created a sense of unity and common ground throughout the many diverse European nations. In September 2015 Germany decided it would close its borders as a way to deal with the human sea that was crossing into their territories, thus suspending this key component of the EU; a region without borders. Germany was soon followed by Hungary, Slovakia, Poland, Netherlands, Austria, the Czech Republic, and most recently Finland, Denmark, and Sweden. This suspension had many flow-on economic effects as businesses experienced supply delays and workers were hinder from travelling freely in the union due to the reimposed international border controls. Likewise, governments had to spend fortunes on re-establishing border controls. In an attempt to re-establish territorial control, last week EU ministers urged Greece, the primary entry point for Syrian refugees, to do more to control the huge influx of migrants. Threatening to exclude it from the continent’s prized passport free zone, which would have wide ranging economic consequences, EU ministers said Greece needed to put stronger controls into place. This is easier said than done. According to Greece’s Immigration Minister Yannis Mouzalas, the EU has been dragging its feet in providing Greece with aid to combat the tide of refugees. 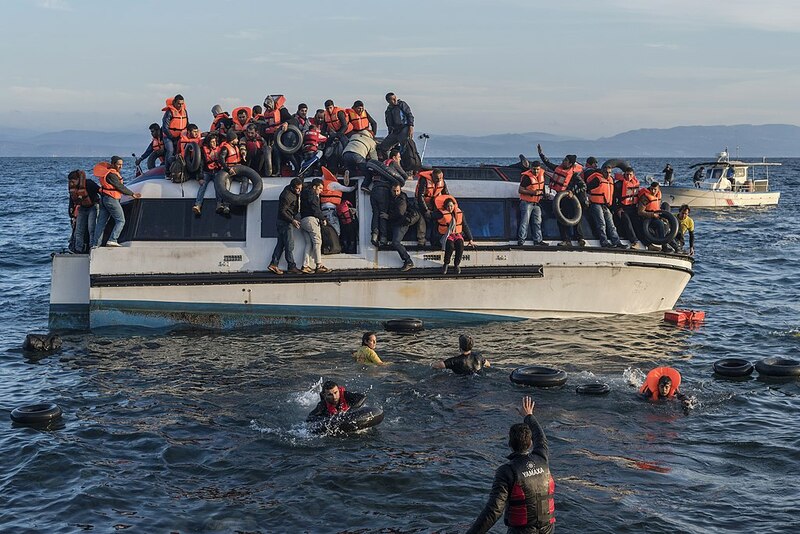 Monetary funds, finger printing equipment, border guards, and medical staff have been slow in reaching Greece. This has hampered the ability of Greek officials to process the estimated 3,000 refugees that are entering its territory every day. Disconcertingly, the biggest threat to the EU has been the rise of right wing nationalism and xenophobia among many of the member states since the attack on Paris in 2015. In Austria, Poland, Sweden Finland, and Denmark right wing nationalist parties who have campaigned on an anti-immigration platform have gained a large proportion of the vote in their respective countries. In each case these parties have then strengthened their anti-EU stance. Arguing that the EU is ineffective and domineering due to its inability to take real action. The right wing movement claims nations need less involvement in the EU, and should return to a less integrated Europe. Leading the charge in this debate has been Britain’s Prime Minister David Cameron, who is in the process of holding a referendum on whether Britain should remain an EU member in 2016. While no nation has yet called time on their EU membership, it is apparent from this crisis that the EU needs to change. It is argued that many would leave if it was financially viable. Its bureaucracies and institutions are bloated and slow to react. The 28 members are constantly having trouble working together, ironically indicating that while the EU was created to end constant bickering and conflict 50 years ago, little has changed.